Partnership Walk is a purpose driven public event held each year by Aga Khan Foundation (AKF) and its network of volunteers across the United States to raise funds and awareness in the fight against poverty especially in African and Asian countries. 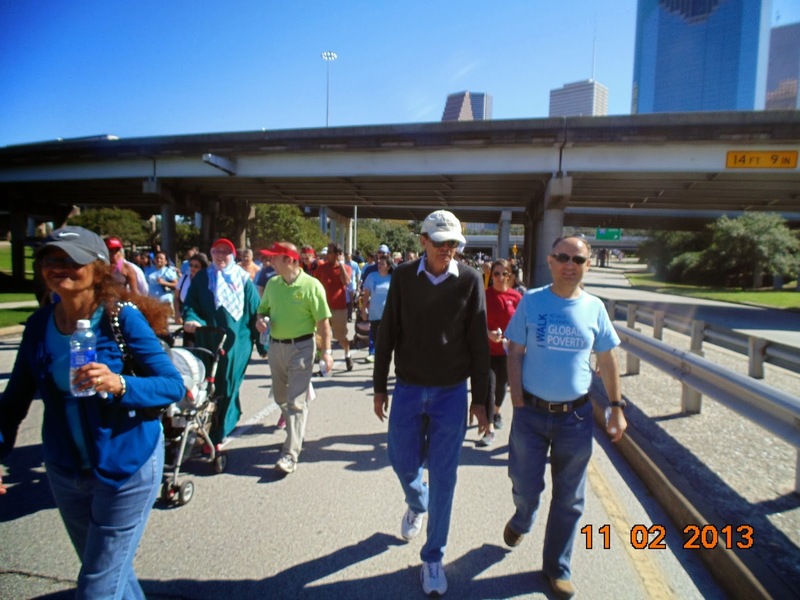 Houston, Texas was honored to host this great event at Sam Houston Park on Saturday - November 2, 2013. I was eagerly waiting for this day. 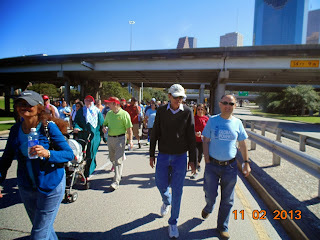 For me, the partnership walk is more than walking a few miles to raise money. It has a special connection with my life - a connection that is based on a common goal, commitment and a purpose in life. The Partnership Walk provides me with a chance to remember those beautiful days of my life when I used to work in far flung and mountainous regions of Pakistan, Afghanistan and Tajikistan. It provides me with a special place and time to pay homage to those hundreds of thousands of courageous people who lost their kith and kin and became homeless during war in Afghanistan and Tajikistan but never lost infinite hope in any situation. It provides me a chance to thank those poor but hospitable people who always stood behind Aga Khan Development Network (AKDN) and supported its work. There can’t be a better platform than the Partnership Walk to recognize the contributions of all those AKDN staff and volunteers who work under extremely difficult circumstances to alleviate poverty and suffering amongst some of the world’s poorest communities. As the sun rose on the day of the walk, a ray of hope flamed up in my heart. As soon as my wife and I started driving to Sam Houston Park, vivid scenes from my past started flashing before my eyes. I recalled the emergency situation in Afghanistan when AKDN initiated its humanitarian aid program through Focus Humanitarian Assistance in 1994. It was the most grueling situation that Afghanistan has ever faced. Hundreds of thousands of people were dying from malnutrition and hunger. Women and children were living under open sky during extreme winter with no access to shelter, heating, clothing and medicine. There is not a day that goes by when I do not think about a remote village in Badakhshan, Afghanistan where a ten year old girl was sold by her father to an influential commander for just 50 Kilogram of wheat as the family had nothing left at home to eat. “On Saturday, I got up in the morning, wore my school uniform, did breakfast with mom and dad and left for school with a hope to return home in the afternoon and meet my parents again. I was less than a mile away from my school when a powerful earthquake shook the ground. Within just a few seconds, all houses, schools and clinics collapsed to the ground and the entire village plunged into sorrow. I was very worried about my parents and hence rushed home quickly. What I saw was unbelievable. My house was reduced to rubble and my parents were buried underneath the collapsed structure. No one was available to help me at that crucial time. It was such a chaotic situation that everyone was busy with their own battle. I started removing the debris with a hope that my parents would be alive and I would take them to the nearest hospital. After many hours of searching frantically, I saw their lifeless bodies. I was standing hopelessly in front of them like a bird that has lost its feet and is unable to alight upon the ground. With the help of a relative, we dug a hole in my garden, buried them there and offered prayers at their graves. I don’t understand why life is so unfair to some people. In just few seconds, I lost everything: my parents, my house, my joy, my dream in life”. Thanks to AKDN for supporting these underprivileged communities in the mountainous regions of Afghanistan and Pakistan. Today, when I look back, I know without a doubt, change has started to blossom in Afghanistan. Badakhshan is no more the most dangerous place in the world for a woman to give birth. Majority of the people have access to basic necessities like safe drinking water, electricity, road, schools and clinics. Pen is replacing gun, life is replacing death and hope is replacing despair. No doubt, there are still many places in Afghanistan, Pakistan and Tajikistan, where people have no access to some of the basic necessities of life. But it is also our moral responsibility to continue to support AKDN in the fight against global poverty, hunger and inequality. I strongly believe that today is better than yesterday and tomorrow will be better than today if we reaffirm our commitment to these poor people in Asia. Today, God has blessed us with everything that we need. We live in a country of opportunity. We have ample financial resources, we live in good houses, we wear good clothes, eat good food, have access to good medical facilities and moreover, our children go to the best institutions of the world. But my question is: Are we really thankful to God for what we have? I certainly don’t think so. Despite of living in a knowledge society, we have not yet grasped the meaning of poverty. We assume that people living in apartments are poor but do not know that there also many places in Asia and Africa where people live in slums. We believe that people using public transport are the disadvantaged ones but do not realize that there are many places in Afghanistan where people walk for 15 days in order to get to the nearest hospital. We deem that people on Medicaid are the less fortunate ones but still do not understand that there many poor countries in Asia and Africa where people can’t afford to buy a single tablet of Tylenol. We think people who shop at thrift stores and resale shops are poor but do not recognize that there are millions of people in developing countries who have no shoes and clothes to wear. We label people rich and lucky if they are able to send their kids to private schools but fail to realize that there are millions of children in Asia and Africa who are deprived of their right to education. Midwives are an integral and inseparable component of the health care delivery system. They play a vital role in improving maternal and neonatal health worldwide. Midwife is the first point of contact for most of the women during pregnancy and also the first one to lay a hand on a child as soon as it is delivered. In developing countries like Afghanistan, midwives bring great hope to the tens of thousands of women who have no access to doctors or clinics. Just ten years ago, Afghanistan was the most dangerous place in the world for a woman to give birth. The life time risk of maternal deaths was 1 in 6 which translated to one woman dying every 27 minutes. According to a report released by World Health Organization (WHO) in 2012, the maternal mortality worldwide has dropped by 47 percent since 1990. The most encouraging news is that the number of maternal deaths in Afghanistan has declined by 65 percent. It's without a doubt one of the most admirable achievements of the Ministry of Public Health and international humanitarian organizations operating in Afghanistan. You may wonder, how did this happen? Is this the real situation on ground? The intent of this article is not to defend the above stated findings of the WHO report, rather to shed light on those avant-garde interventions and indefatigable community based approaches that led to a significant reduction in maternal mortality in Afghanistan. Adequate and qualified human resources for health (HRH) are widely recognized as a key element of sustainable and effective health care system. World Health Organization (WHO) recommends one skilled birth attendant for every 175 pregnant women. In contrast, Afghanistan had only 467 trained midwives in 2002. Badakhshan, the most remote and inaccessible province in Northeast Afghanistan, painted an even gloomier picture where 6,500 out of 100,000 women died as a result of pregnancy, child birth or post-delivery complications. The most unfortunate situation was that the entire province had less than ten trained midwives to provide emergency obstetric and new born care to women and newborns in Badakhshan. 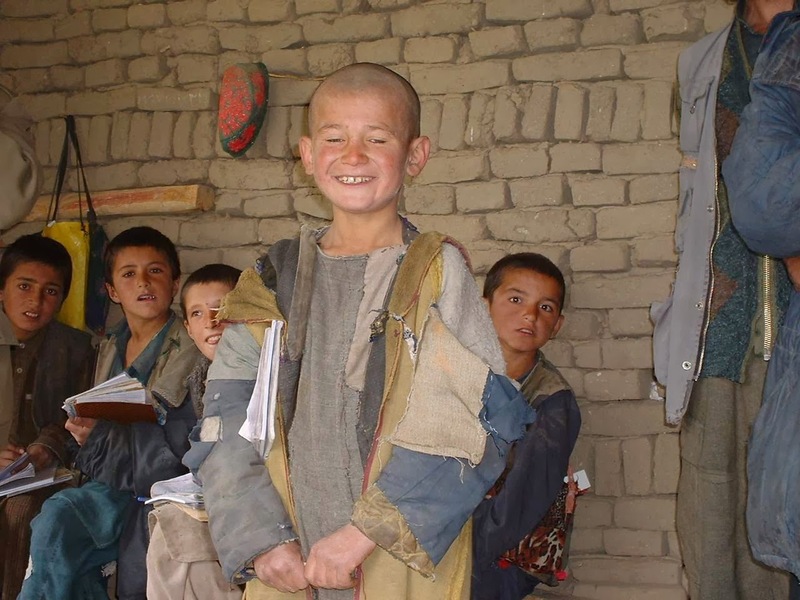 In order to support and complement Basic Package of Health Services (BPHS) and Essential Package of Hospital Services (EPHS) projects in Afghanistan, the Ministry of Public Health in collaboration with the U.S. Agency for International Development (USAID) and other donor agencies established community midwifery schools in almost all provinces of Afghanistan. 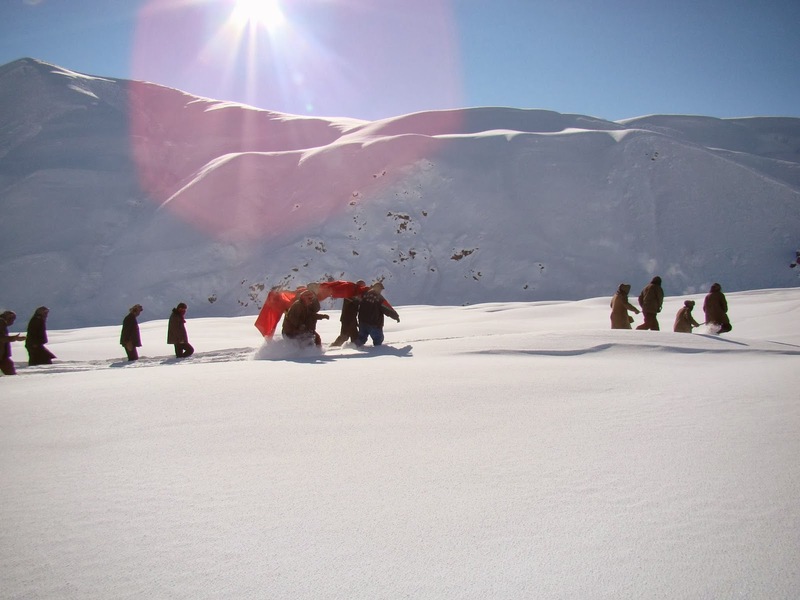 Badakhshan -a province with no road access, harsh and long winters, low level of literacy and above all high rates of maternal deaths, was the most challenging place in Afghanistan to implement this ingenious project. Aga Khan Development Network (AKDN) in partnership with Ministry of Public Health Afghanistan, Jhpiego and local community took up the challenge with gusto and kicked off the community midwifery education (CME) project in Faizabad in early 2005. It was a time when girls had no access to education, employment and health care in Afghanistan. At that time, finding eighth grade matriculated girls from remote districts in Badakhshan for Community Midwifery School was a hard nut to crack. A joint team from Department of Health and Aga Khan Development Network went door to door to convince parents that the battle against maternal and child mortality in Badakhshan cannot be won without their support and commitment. They need to allow their daughters to go to the midwifery school to become community midwives. The religious leaders also voiced support for the community midwifery education program which without a doubt, paved way for high value maternity care system in Badakhshan. Sairam Saadat was amongst the first batch of eighteen students who enrolled in the community midwifery school in 2005. In 2011, she shared with me the challenges that she overcame to become a midwife. "In 2005 I was an eighth grade student at Najeebullah Shaheed High School in Faizabad. I still recall the day when some people from AKDN came to my house to persuade my mother to allow me to study at Faizabad Midwifery School. In the beginning, my mother was very reluctant and of course she should be. After all, I was her eldest daughter and after the death of my father, all responsibilities had devolved on her shoulder. It had always been my dream to be a health professional and save the tens of thousands of women in Afghanistan who were dying during pregnancy or child birth. After struggling for many days, I finally convinced my mom and made my way to the community midwifery school. My relatives and other people in the area were distraught over my decision. Some of them stopped talking to me. When I left for midwifery school in the morning, everyone stared at me with an odd enigmatic smile. Some people thought I would become a traditional birth attendant whose job would be to clean up the filth after birth. Some were fearful that I might interact with male doctors and nurses in the hospital and bring shame to my family. Despite all these challenges, I never lost my motivation to work toward achieving my dream in life. I always stood by my commitment"
Today, Sairam's dream has turned into a reality and she has now become a source of inspiration to thousands of women across Badakhshan. Because of her commitment and hard work, she climbed to the position of Program Coordinator and started leading the community midwifery school in Badakhshan. Sairam and hundreds of other graduated midwives left no stone unturned in providing quality maternal care to pregnant women in far-off areas of Badakhshan. During my stay in Afghanistan, I was always inspired by their work. 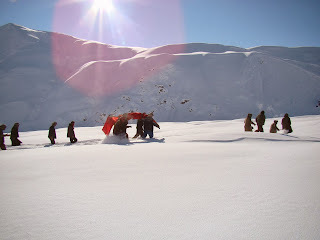 Despite of resonant tribal culture and strong religious beliefs in Afghanistan, they walked on foot for many days to provide outreach health care services to hundreds of thousands of women in extreme remote valleys of Badakhshan. So far, 109 students from 28 districts have graduated from Faizabad Community Midwifery School and are now working in remote villages of Badakhshan. Due to their untiring efforts, devotion, insatiable interest and everlasting commitment to their nation, all maternal and child health indicators have now improved in Afghanistan.I can state with certainty that the community midwives played a pivotal role in the improvement of maternal health care in Afghanistan. No doubt, there are still many areas in Afghanistan particularly in the province of Badakhshan where women do not have access to midwives. The international community should continue to lend a helping hand to the people of Afghanistan and keep striving for a healthier tomorrow. Afghanistan mortality survey 2010 indicates significant gains in maternal and child health. For instance, the maternal mortality ratio (MMR) and under 5 mortality ratio have reduced to 327 deaths per 100,000 live births (from 1600 deaths /100,000 live births in 2002-03) and 97 deaths per 1,000 live births (172 deaths /100,000 live births in 2002-03) respectively. Similarly, the contraceptive prevalence rate, skilled birth attendance, immunization and antenatal coverage have also improved. Today, Badakhshan province has 110 fixed health facilities and mobile health clinics. The Ministry of Public Health Afghanistan and other international agencies need to be sincerely appreciated for all the work and effort that they put in to make this happen despite volatile and insecure conditions in Afghanistan. In contrary to this, some segments of the international media and local Afghan politicians have expressed partial satisfaction over the progress made so far. They argue that the achievements are not compatible with the amount of money pumped into ailing the health sector in Afghanistan since 2001. As a public health professional, I do not deny the fact that a lot more needs to be done to improve maternal and child health in extreme remote districts of Badakhshan. However, there are several key challenges that have not yet sufficiently caught public's eye. Provision of maternal and child health care should not only be the sole responsibility of Ministry of Public Health, rather all other ministries and non-governmental organizations must also play a critical role in addressing these problems to improve the health status of the people of Badakhshan. Health is seen as an essential component of the socio-economic development of a country. A nation can never progress until it improves its health care system and lets its people enjoy a free and healthy life. Pakistan is among the least developed countries of the world where the health sector has not yet taken its roots despite of generous donor funding and other improvement efforts. Almost sixty five years after its existence, the country has not yet come up with a standardized and recognized national health policy that can ensure access to equitable and high quality health care for all. Furthermore, the gap in health services between urban and rural areas has widened to an unbelievable extent. Our neighboring country Afghanistan in partnership with the international community has achieved a major milestone in developing a standardized health policy and strategy for the country despite two decades of devastating war and instability. Today, Ministry of Public Health in Afghanistan is considered as one of the best ministries. On the other hand, the situation in Pakistan is incredibly sad and doleful. A little over a year ago, the Government abolished the Health Ministry and transferred power from the central government to provincial governments under the 18th constitutional amendment. Pakistan probably is the only country in the world that delivers health services without a central health ministry or similar institutional structure. The health services decentralization can improve the efficiency and quality of services and ensure equity in health care provided if it is accompanied by strong accountability mechanisms, evidence based planning, good financial management and effective human resources planning. Otherwise it will neither benefit the people nor lead to any positive outcome. However process of decentralization of health care services in Pakistan was started hurriedly. The real situation on the ground was neither assessed nor analyzed. No in depth discussions were held among health professionals and policy makers. Provincial governments were not taken into confidence to see if their provincial health departments have the required capacity and enough resources to provide essential health care services to the people as per the international guidelines. It was indeed a big and dicey step that was taken at a time when the entire country has plunged deep into turmoil. Terrorism, target killing, corruption, political instability and financial crisis remain key and difficult challenges for the government to tackle with. Poor Provinces like Baluchistan Gilgit Baltistan and Azad Kashmir do not have their own resources and are mostly dependent on the central government. How will the provincial governments provide quality health care services if they are not even self-sufficient and autonomous? In the light of the current economic and political situation in Pakistan, the devolution of health services seems to be less practical and more problematic. It is neither improving the health status of the population nor building the capacity of the provincial health ministries. The health indicators are declining. The processes of making standardized health policies and national guidelines have come to a standstill. International health agencies, donors and non-governmental organizations are having a hard time fighting against infectious and non-infectious diseases because of unavailability of uniform policies and standardized national health guidelines, lack of a clear national vision for health and absence of a centralized regulator or institutional structure in Pakistan. Lack of an effective financial management system at the provincial level has increased the health care costs. Due to poor monitoring mechanism, vaccine preventable and other communicable diseases like polio cases have resurfaced. The absence of strong accountability system at the provincial level has resulted in increased prevalence of substandard and counterfeit drugs. In January 2012, seventy patients of the Punjab Institute of Cardiology lost their lives after consuming substandard medicine and in November 2012, another eighteen people died after drinking a toxic cough syrup in Shahdra Town in Lahore. In addition to this, the provincial health ministries are neither prepared nor have the required resources to cope with emergencies if an epidemic or a natural disaster strikes their region. The outbreak of dengue fever in Lahore Punjab in 2011 and the Attabad Lake disaster in Gilgit Baltistan in 2010 are the two worst incidents that the nation has witnessed in the last few years. Even today, 25,000 people in Gojal Hunza do not have access to formal emergency medical services. Who is to blame for the situation as the central government has transferred its power to the provincial government and the provincial government points the finger at the central government for not providing it with enough resources? I honestly believe that the blame game will neither end nor the country’s health situation will improve until the federal government steps in and assists the provincial health ministries by establishing a central health ministry or similar regulatory authority in Islamabad. There was a time when people used to call Gilgit Baltistan the land of peace, love and happiness, but today a cloud of gloom hangs over the region. Because of the recent wave of sectarian violence in Gilgit Baltistan, hundreds of people have died and the economy is on the verge of collapse. The education and healthcare sectors are among the worst hit. As the government and the security agencies find out and address the causes of sectarian violence, there is also a need to revisit our current policies and reevaluate our current system of governance. Decent, acceptable and long-term coping strategies should be devised to address the grave issue of sectarian violence. Being a health professional, I believe some of the most important challenges will be in the healthcare sector. The existing healthcare policies and strategies have not been developed professionally and scientifically. These ill-conceived, narrow minded and misguided policies are also essential contributing factors to the sectarian violence in Gilgit Baltistan. In an ideal world, hospitals are constructed to provide the highest quality of care to all people regardless of their faith. Doctors, nurses and other health professionals are committed to helping and assisting everyone everywhere irrespective of their sect, race and color. But the public healthcare resources in Gilgit Baltistan seem to have been divided along sectarian lines. The District Headquarters Hospital (DHQ) in Gilgit is the oldest public hospital in Gilgit Baltistan and was built in a Shia dominated area more than 50 years ago. It served people from all across the region. People living in the vicinity of the hospital helped the poor patients and attendants coming from far off districts, often giving them food and clothing. Sometimes they also accommodated them in their houses. Shia and Sunni health professionals worked together and provided best possible services to the population despite of the scarce resources. Today, things are different. Sunni patients are reluctant to visit the DHQ hospital. Even Sunni health professionals have declined to work in the hospital. Instead of pacifying tensions and finding a pragmatic solution to the issue, the government built another hospital in Kashrote, a Sunni dominated area, just three kilometers away. Sunni health professionals have been deployed to this new hospital and it largely serves the Sunni community. At a distance of a few yards from the Kashrote City Hospital, the Aga Khan Health Services have also set up a well-equipped hospital. The hospital is neither located in an Ismaili dominated area nor meant to serve the Ismaili population only, but some people still assume that a good number of health professionals and majority of patients coming to this health facility are Ismailis. Is there really a need for so many hospitals in Gilgit city? Are we not wasting our resources? Can't we set up one large well-equipped hospital in Gilgit that can provide quality healthcare to everyone regardless of their faith? Will the sectarian based healthcare approach end violence in Gilgit Baltistan? On the contrary, it might deepen the sectarian rift. We cannot fulfill the dream of a pluralistic society by dividing our healthcare system along sectarian lines. The health of a nation can be measured by its health care system while the health care system hinges on the country’s national health policy and strategy. The country’s political leadership is the principal driving force behind such policies and strategies. If you want to know how strong the country’s political leadership is, look at its key health indicators and you will get a fast answer to your question. Pakistan is in the list of developing countries where the health care system is still on life support. India has joined the international community in waging a war against global health issues but unfortunately, we are not yet able to control vaccine preventable diseases like polio in our own backyards. It’s a shame that sixty-five years after independence, the total immunization coverage is still at a low level. Diarrhea, pneumonia and malnutrition are still the main causes of deaths among children under five. Hundreds of thousands of pregnant women still die because of severe bleeding, infections and high blood pressure. The question on everybody’s mind is: isn’t the government doing enough to tackle these problems? The answer is most likely no. Health and education are the most neglected sectors in Pakistan. Look at the state budget of last five years and see what percentage of the federal budget is allocated for health care in the country. The health sector reforms will never take place until the political leaders and other policy makers understand the problem, express their viewpoints and act accordingly. As a public health professional, I will bring to light some key health issues that I noticed during my professional career in Pakistan. Human resources for health are identified as one the core building blocks for a health care system. The biggest challenge facing the health care sector is the serious lack of human resources. The model of putting the qualified and right people in the right place has never been used in Pakistan. In order to get a holistic view of a situation,let’s take the health ministry as an example. Country’s public policy making lies in the hands of non-health professionals (like ministers, secretaries etc). You will hardly find qualified health professionals and researchers at relevant health ministries. Meritocracy does not exist anywhere in the country. Recruitment, transfer and promotion processes are based on several factors such as political affiliation, ethnicity, class, religion, bribes etc. Because of the dismal situation, many qualified health professionals are either leaving the country or joining the private sector and as a result the human resources for health (HRH) challenge does not get better. The other major challenge facing the health sector is the prevalence of technically unsound, politically misleading and financially nonviable decisions that are undoubtedly affecting the health care sector to an unbelievable extent. In developed countries, health professionals and policy makers make evidence based decisions regardless of the political consequences. They can turn down any health project if it does not meet required criteria. In Pakistan the situation is other way round. We follow “decision based evidence making process”. If a political leader comes to a decision to build a new 200-bed hospital in his or her constituency then no one at the health ministry will determine whether there is a genuine need for such a big hospital in the community? Ideally, a technical team from the relevant health ministry should visit the proposed area and prepare a comprehensive feasibility report before the construction is kicked off. I have seen many hospitals in Pakistan that are either vacant or underutilized. Equity is another burning issue that is weakening the health care system in Pakistan. Resources are not evenly distributed across the country. If you compare a district hospital of Punjab with a similar caliber hospital in Gilgit Baltistan, then you will notice a huge difference. The former will have a good building, well equipped emergency department, lots of sophisticated equipment (like CT scan), ambulances and many specialist doctors. The later one will be consisting of a few rooms and will be at a disposal of a medical officer. You will neither find basic equipment (like x-ray, ECG) nor necessary life saving drugs. Poor governance in the health sector has also led to misdirected spending of funds. Corruption in the procurement of medicines and equipment has defamed the health sector. There is no independent procurement body that can ensure transparency, quality and reliability. Political leaders and other influential people at the Ministry of Health issue contracts to their own friends and relatives and as a result hundreds of millions of dollars disappear each year. On the other hand, hospitals are being provided with poor-quality equipment and medicines, both substandard and counterfeit. The government will be less worried about the situation if patients die after consuming substandard medicines. Just recently, seventy patients at Punjab Institute of Cardiology (PIC) died after consuming substandard medicines. Unfortunately till now, no action has been taken to identify and punish the culprits. The Pakistani media has an important role to play to bring about a change in the country. It is said that media reflects society and holds up mirror to country’s political leaders. However, both electronic and print media have not yet truly pinned down health issues in Pakistan. Sit in front of the television and observe how many talk shows or discussions on key health issues have been on the air? Get up in the morning and go through the newspapers and see how many articles have been published on health and nutrition related problems? The political leadership, health professionals, researchers and media should work together to strengthen the health care system in Pakistan. International agencies like World Health Organization, World Bank, UNICEF and USAID should play a larger and critical role in health care reform as internationally recognized, viable and uniform health policies are the real need of the hour in Pakistan. Many days have passed since my lovely brother has died but the traumatic incident of August 22 is still fresh in my mind as if it happened today. I was looking for ways to cope with the situation and decided to let all my pain out through writing. Three people have influenced and touched my life and contributed to what I am today. They were; my beloved mother, my incredible father and my adorable and caring brother Aqil. It is said that some people come into your life for a reason and they change your life in ways you cannot imagine. Aqil Bhai was among the few people who left Gulmit for Karachi in the late seventies with a determined attitude, unbreakable will and a clear objective in mind to complete his higher education. It was a time when parents were reluctant to support such a decision. Like others, he forgot his sleep, worked nights and attended his college/university classes during the day. One can easily get to the intended destination- no matter how bumpy or steep the path becomes and Aqil Bhai proved it. He has an honor to be the first post graduate degree holder from very small villages of Kamaris and Odver. He also set an inspiring example for the younger generation. 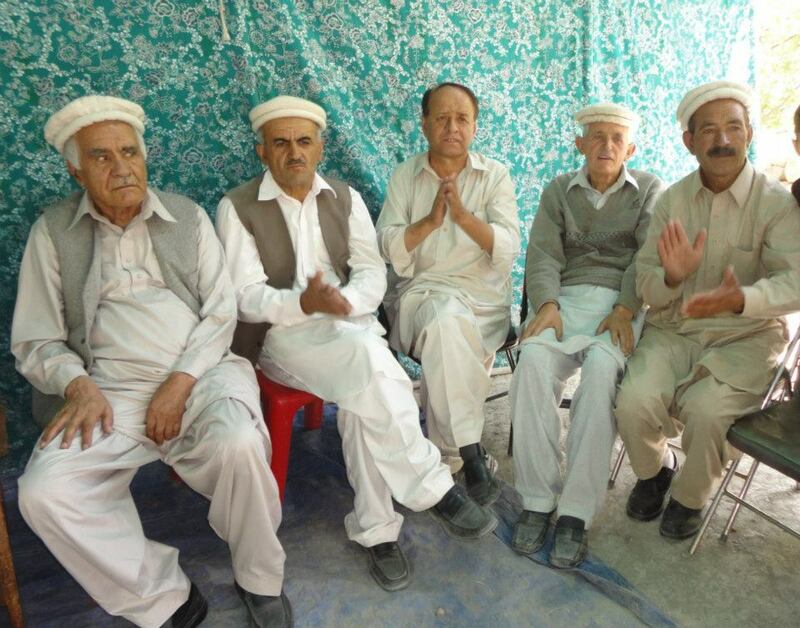 He was the first spark that ignited educational and social revolution in Gojal. During his stay in Karachi, he supported thousands of students. His home was a ray of hope for all new comers. Even today, people love him like a father, remember him like a brother and respect him like a teacher. Aqil’s life took a new turn when he completed his education and returned to Gilgit Baltistan. He joined the Ministry of Tourism in Islamabad as a Tourism Officer and worked until 1994 when he took the responsibility of a Civil Supply Officer at the Department of Food and Agriculture in Gilgit Baltistan. Just a couple of years ago, he was promoted to the position of Deputy Director and remained in this position until his death. During his professional career, he never detached himself from his area. He continuously helped people, guided the young generation and actively participated in all types of social work. He was not only a great social worker and a towering figure in Gojal but people from Ghizer, Hunza Nager and Diamer districts also remembered him as a kind hearted, generous and wonderful human being. Irrespective of his social status, he always lived a simple life. Unlike other government officials, he neither had any property nor owned a home anywhere in Pakistan. He lived in the rented property until his last day. when he came on vacation from Karachi. Aqil Bhai was not just a brother with a pure soul and golden heart but the relationship goes much deeper and beyond genetics or family ties. He was my greatest source of achievement, pride and inspiration. His selfless support has always been with me throughout my academic career. He always believed in my capabilities, instilled in me self confidence, taught me the meaning of life and pushed me to work harder to achieve my goals. I cannot forget those days when I was a third year student at Rawalpindi Medical College and my father was severely injured in an accident. We faced the worst financial crisis of our life. I could not pay my tuition and accommodation fees for months. 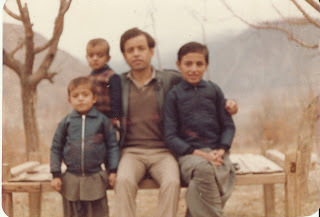 At one point I became so helpless that I decided to relinquish my studies, return to Gilgit and take care of my family. The moment Aqil Bhai heard this from a source in family; he immediately traveled to Islamabad and paid all my expenses. It was June 2004 when Focus Humanitarian Assistance Europe (an agency of Aga Khan Development Network) invited me for an interview at its office in Croydon, UK for a position based in Afghanistan. My thoughts were completely entangled with confusion. The western media was busy publishing and broadcasting horrendous stories about Afghanistan and at such a crucial time, going there would mean putting my own life at risk. Nevertheless, I still decided to appear for the interview. The most hard-hitting moment of the show was the day when I opened my email and found the job offer. I was indecisive, nervous and befuddled. I contacted Dr.Adnan – my best friend who was working as a medical officer at Ipswich mental hospital and told him about the situation. In the meanwhile, I wrote to Dr.Sardar Ahmad – an old Afghan friend from medical school days who used to work for World Health Organization in Kabul. The two close friends suggested me to accept the job offer. I decided not to inform my family members in Pakistan about this life changing decision; I knew that they would not be very excited hearing about this. I left London for Islamabad on July 3, 2004. After two days, I left for Gilgit to meet my parents and other immediate family members as I had not seen them for almost two years. After spending a very joyable week at home, I finally departed for Afghanistan – a country where I had never been before – never even thought to be there in life. It was not easy to be in Afghanistan soon after the 9/11 incident when its painful memories were still fresh in everyone’s mind. On July 12th, I took a United Nations Humanitarian Air Service (UNHAS) flight to Kabul. Remnants of war were still obvious at Kabul International Airport. Wreckage of Soviet fighter jets and burned out tanks were lying near the run way. The airport security personnel guided me to an immigration desk where a middle aged, male immigration officer looked at me and greeted me with a lift of his eye brows. I also returned the gesture. Before stamping my passport, he asked me something in Dari. I had no idea what he said and remained silent. After a few minutes, I came out through the arrival gate and went to the parking lot where the office car was waiting. The driver took me to a guest house located on the main Wazir Akbar Khan road. He mentioned that the United Nation Assistance Mission for Afghanistan (UNAMA) had been renting the building for many years. But now, it has been rented out to AKDN but everyone still called it "UNAMA guest house”. My room was on the first floor, facing the main Wazir Akbar Khan road and hence I found it a little bit noisy. I stayed in Kabul for a week, enjoyed delicious Afghani food and attended all orientation meetings before heading to Faizabad Badakhshan where I was to be stationed. On July 26th, FOCUS chartered a PACTEC plane to Faizabad (the capital of Badakhshan province). It was eight of us who were traveling to Faizabad. We were directed to the aircraft without passing the security checkpoint. “Oh my Lord isn’t it too small” I asked one of my colleagues after first glimpse of the aircraft. I was very excited and was looking forward to an interesting journey. After a few minutes, we all boarded the plane. There was no cockpit door and it was interesting watching the two pilots as they navigated the plane towards our destination. The co - pilot put our luggage in the trunk, closed the door and briefed us about the in-flight safety procedures without a live demo. It was my first ever flight without a stewardess or flight attendant. The PACTEC pilots were doing everything themselves. The flight took off from Kabul airport around 11.00 AM and started flying over rugged hills and beautiful snow covered mountains of Kabul, Salang, Baghlan, Kunduz and finally Badakhshan. In the beginning, I was a bit scared because there was a lot of turbulence and on the top of that, it was my first time being on such a small aircraft. To cut a long story short, we finally arrived in Faizabad at 12.30 PM. The landing at Faizabad airport was an amazing and memorable experience of my life. The Faizabad runway was made of metallic sheets and had been built by the Russians in 1980. As soon as the wheels touched the runway, we started hearing loud scraping sounds. Trust me, I was scared and was in a state of shock. When the propellers came to a complete standstill, one of the pilots said, “Welcome to Faizabad. We hope you have enjoyed your flight”. He opened the door and asked us to leave the aircraft one by one. I took a deep breath of fresh air and immersed myself in the raw and beautiful landscape of Faizabad. I felt like I was in heaven when I stepped out of the plane. Focus Faizabad’s logistic and administration team members along with office vehicles were there to pick us from the airport. We were first taken to FOCUS guest house. I went straight to my designated bed room, showered and changed my clothes. Later on, we went to AKF guest house for lunch. I really enjoyed Afghani food. At the same time, I was introduced to Aga Khan Foundation (AKF) and Aga Khan Health Service (AKHS) team members. All of my colleagues were very friendly, warm hearted and welcomed me with open arms. Dr.Salim Sumar – Executive Officer of FOCUS Humanitarian Assistance –Europe and Dr.Iqbal Kermali –Country Director for FOCUS were also in Faizabad to help me acquaint myself with the area and ongoing projects. On the very first day, they took me to the office of Provincial Governor. I still remember that moment quite well. We drove through a police guarded gate, followed the narrow trail through lush trees and shrubs until we got closer to an old building. We parked our vehicles and walked into this building. The entire building was made of mud and straw and had only three rooms. The traditional pit latrine was only a few hundred yards away from the building. The provincial or state governors in my own homeland live in beautiful buildings. The lavish decoration provides recognizable evidence of their wealth and importance. It is not possible for a common man to meet the state/provincial governor and share with him either personal or community related issues. If you are lucky enough to get an appointment, the so called security procedures will definitely make you cry and you will regret your decision. Let me rewind back to the original scene without going into too much detail. A guy - most likely governor’s assistant greeted us with respect and directed us to a room. When we opened the door a, middle aged, serious looking man with white beard greeted us with kindness but without a smile on his face. He was Sayeed Ikramuddin Masoomi - the provincial governor of Badakhshan. One of our local Afghan staff introduced us to his Excellency Provincial Governor and his team. In a nutshell, he welcomed us open heartedly, appreciated Focus’s contribution and asked us to do more for the poor and deprived people of Badakhshan. As a gesture of welcome, we were offered black tea (Chai), sweets and dried mixed fruits displayed on a tray in a traditional style. On our second and third days, we visited UN agencies and other government departments in Faizabad. The orientation period that lasted for almost a week went very well. At least, I had some idea of what life looked like in Badakhshan and what were the real challenges. At the same time, I was also perplexed and in state of imbroglio as I had no experience of managing multi-million dollar programs in post conflict countries like Afghanistan. There were many unanswered questions in my mind. I was constantly asking myself, “Would I be able to comply with the expectations of the people and Afghan Government? Would I be able manage and keep my staff happy? Would I be able to do what the senior management was expecting from me?” My heart's deepest inner feelings boosted up my self- confidence and aroused my enthusiasm and forced me to say, “I can, I will”. Last but not the least; I worked for Focus Humanitarian Assistance (Europe) for almost two years. 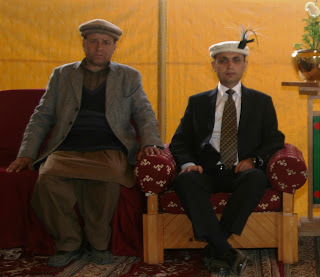 During my stay in Faizabad Badakhshan, I faced some tough times. I cannot forget the Faizabad incident when AKDN offices and guest houses in Faizabad were burnt, two other colleagues and I were made hostage and beaten by an angry mob in September 2004. I also can never forget the Baharak incident when some unknown people lobbed a hand grenade at my guest house - Ehsan Assad (my colleague) and I got minor injuries but luckily survived the incident. I will go into more detail about these incidents some other time. At this point, I can only say that these ill-fated incidents never bewildered or frightened me at all. My courage, pride and determination were never influenced by these events. I never lost my belief and confidence in the people of Badakhshan. I always prayed to God to give me the true strength and courage to serve these people. In August 2007, I joined Mission East (Danish NGO) and it was another golden chance to work with the hospitable people of Badakhshan. 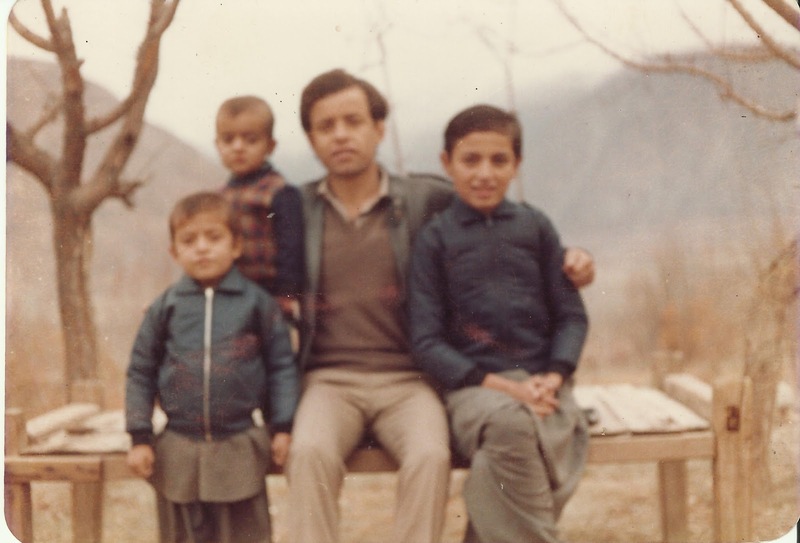 I had a very strong affiliation and deep attachment to the land and people of Badakhshan not only because I lived and worked here before but also the place in Gilgit Baltistan where I was born and bought up, the language I spoke, the type of food I ate, the kind of music I listened and the form of dance I liked – were also a few considerable reasons behind this connection. North Pakistan (now called Gilgit Baltistan), Badakhshan Afghanistan, GBAO Tajikistan and Xinjiang China have so many things in common. Same landscapes, same beautiful snow covered mountains, same food, same religion, same customs, and same language are bringing together people from four different countries. The two and a half years stay with Mission East was an amazing period of my life. It was one of the best international organizations to work for in Afghanistan. This organization has done so much to increase access to safe drinking water supply and sanitation services in North East Afghanistan. In January 2010, Aga Khan Health Service Afghanistan (AKHS-A) provided me with an exceptional opportunity to design, implement and oversee the community health programs in the province of Badakhshan. Badakhshan drew international media and donor agencies attention in 2003 when a joint survey report of UNICEF, CDC and Ministry of Public Health Afghanistan (MOPH-A) revealed that Badakhshan had the highest recorded rate of maternal mortality [6,500/100,000 live births] in the world. I feel not only lucky but blessed to be part of AKHS-A, MOPH, USAID, UNICEF and other development agencies in Afghanistan to come up with effective strategies to implement long term health partnership programs in Badakhshan. AKHS-A also provided me with a golden chance to work on some new innovative projects that have rarely been executed in the world. The cross border health program between Afghanistan and Tajikistan was one the most amazing and memorable project that I have ever come across in the twelve years of my career. Every day, every hour and every second that I spent with AKHS were the most creative periods of my life. The prolonged, impressive and memorable journey of six years came to an end in January 2012 when I decided to bid farewell to Afghanistan to join my family in Texas USA. Afghanistan will never fade away from my memory. Every morning I get up and miss the beautiful mountain landscapes of Badakhshan when I look out the window from my house in Sugar Land, Texas. I really miss my friends, colleagues and above all, the friendly, peaceful, loving, warm and hospitable people of Badakhshan. I have no words to express my feelings to those other than to say “thank you”. You will always have a special place in my heart. I will never forget those difficult days when you took me to your house and saved my life when the security situation worsened in Faizabad. I will never forget your kind hospitality and warm welcome to your house on Eid, Novroz and other occasions when I was alone in my guest house. How could I forget the rocking farewell parties you organized, those beautiful words you spoke and the wonderful gifts you gave me when I was leaving Afghanistan? My journey to Afghanistan would be incomplete without recognizing the people who supported me along the way. My special thanks go to Dr.Salim Sumar [who is the Chief Executive Officer for FOCUS Humanitarian Assistance Europe] for providing this wonderful opportunity to come and work in Afghanistan. I was always on my toes in my career because of him. I am very grateful to Jacques Dailoux (who was the Desk Officer for Mission East in Brussels) for giving me a fantastic opportunity to work with a well respected organization in Afghanistan. It would not be an exaggeration to say that I have yet seen a humble person and true professional like him in my career. It will be a great injustice if I do not thank Dr.Gijs Walraven- Director of Aga Khan Health Services (in Aiglemont France), Dr.Nayamat Shah (former Country Director for AKHS program in Afghanistan) and Dr.Fatima Mohbat Ali (Regional CEO for AKHS in Afghanistan and Central Asia) who believed in my capabilities and gave me the opportunity to work for Aga Khan Health Service in Afghanistan. Last but not the least, Afghanistan not only developed my career but it also brought a special aroma to my personal life. This beautiful land blessed me with an opportunity to meet and marry my beautiful wife –Shazia Nota. My journey to Afghanistan would have not been possible without her never-ending love and support. She lived without me in USA for so many years but encouraged me to work for the people of Afghanistan for such a long duration. Thank you so much my love! Although my six years journey has now come to an end but the beautiful memories will continue to live in my heart and mind forever.